From his faded, plaid shirts to mild-mannered personality, Dan Cates has never been considered one of the more suave poker pros. But while he won’t beat Patrik Antonius or Phil Ivey in a coolness contest, ‘Jungleman’ remains a popular and inspiring story to many players. And a large amount of this has to do with the fact that Cates has won over $8 million in online poker. 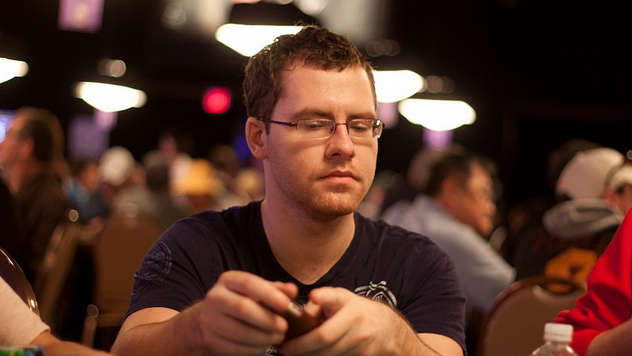 In 2010, Jungleman exploded on to the high stakes internet poker scene, making more than $5 million in profits. What was impressive about Cates then, and still remains true today, is that he’s never been afraid to take on other great NLHE players. This is why many grinders both respect and fear Cates when it comes to the online felt. Of course, all elite poker players have to start somewhere. And for Cates, this somewhere was definitely at the bottom, both from a playing standpoint and socially. In a recent interview with iGaming.org, Cates said that he spent most of his school days “lonely” and without too many friends. This led to Jungleman playing a lot of video games like Command and Conquer. His family didn’t exactly approve of this and tried to stop Cates, but he continued pouring most of his free time into gaming. I never really spent money while I did some paid internships. From the $6,000 I had saved up I must’ve lost about $3,000 playing in that stupid game when I was just 17. Because I had little else to do I kept playing, as I knew I could win money at it somehow. Cates went on to say that he felt like some of the live players were cheating. However, he didn’t let this or losing $3k as a teenager discourage him from playing the game. By 18, Jungleman was playing $5 SNG’s on Full Tilt Poker. In about six months, Cates managed to run his online bankroll up to around $3,000. He also won $5,000 in an MTT and joined the poker training site CardRunners. Struggling with grades and making lots of money, Cates eventually dropped out of school and began devoting all of his time to online poker. This turned out to be a great decision because it happened in 2010, when he won the aforementioned $5 million. Jungleman added that this huge year helped him gain some fame and meet new friends. Not much has changed for Cates today since he’s still a successful and high-profile player. And it’s very likely that he’ll continue making lots of money in the future.